Or Philosophy Phriday, take your pick. One day I’m going to write a time travel Click Your Poison book (I’m thinking it’ll be “next” after I finish up the murder mystery I’m working on now) and it’s got me thinking. Time travel has always fascinated me and this book would be an awesome challenge. I’ve often thought if I have one “gift” as a writer it’s an overactive imagination. Well, this ought to put that gift to the test. Time travel is a hell of a lot of fun, but it’s also a larger look into who we are as a collective species. We get to see where we’ve been, where we are, and where we’re going, all in the space of a single adventure. Or, as will most likely be the case with CYP#3, three unique adventures within one book. I’ve thought about time travel a lot over the years and it’s always inspired creative thoughts. What if this? Oooh, but what about that? Now it’s time to let some of those marinated thoughts back out and to contribute something to this story universe. Like the other books in the series it will still be titled toward entertainment on the entertainment-to-art scale, I have the opportunity to, you know… say something profound. Consider this as one example: We’re reaching a point in our society where efficiency is eliminating more jobs while population growth is expanding the need for them. Something has to give. But why can’t there be a solution? Why not robot servants to do our dirty work, and then a leisure economy composed of artists, craftsmen, and entrepreneurs? You could get a stipend for food and living expenses, then your earnings as an artisan are used strictly for relaxation-based consumerism. 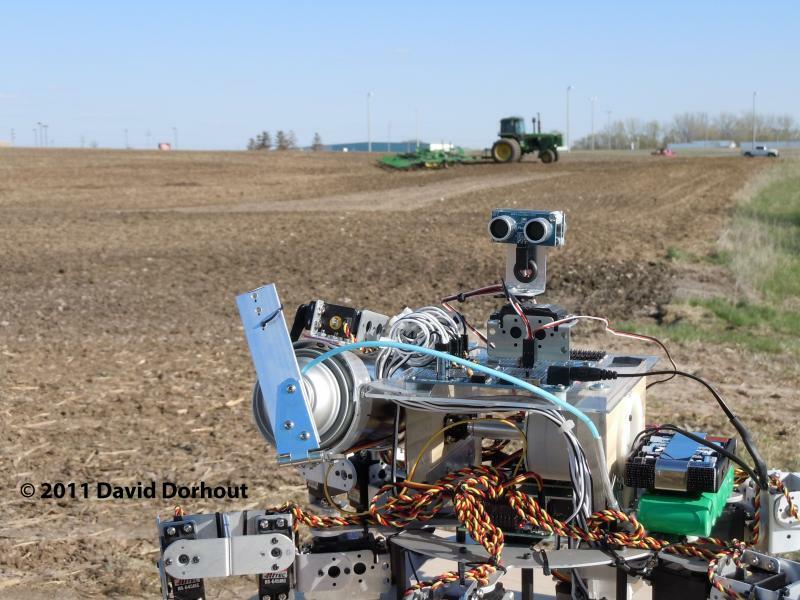 Robot farming is already in development. I’m saying the rules have changed. There has been a cultural revolution. Perhaps, without the inherent need for “work”, we turn inside. That’s historically where most thinkers, philosophers and authors have come from — they were people who didn’t need to, or chose not to, work for a living. Could there be, would there be, a shift inward toward enlightenment and education? This is by no means a set-in-stone plot element to the book. I may very well change it completely as I delve into the research; I’m just thinking out loud here. What do you think? What positive changes might the future hold? I’d love to hear some outside thoughts. Thanks for sharing these details so freely. You need to think about writing a book.